Mike has performed with such well-known jazz greats as Herbie Hancock, Christian McBride, Chet Baker, John Scofield, Nicholas Payton, Tony Bennett, Wayne Shorter, Joe Henderson, Eddie Henderson, Bobby Hutcherson, Vince Guaraldi, Woody Shaw, Donald Harrison, Albert King, Larry Coryell, Mike Wolff, Wallace Roney, Billy Childs, Dr. Lonnie Smith, Chris Potter, Bobby McFerrin, Nat Adderly, Oscar Brown Jr., and Gil Evans and his Orchestra. Born in Sacramento, CA, Mike traveled around the country with his father, a former drummer himself and a union man for the railroad. His dad had a great appreciation for jazz and blues music, and Mike absorbed the music of America while riding the rails. He credits this exposure as forming the foundation for his ability to synthesize many different regional styles. From age 4, he was a prodigy, sitting in-- and getting “house” -- - with bands in Texas and New Orleans. And by the time he reached his early twenties he was known as one of the founders of the distinctive East Bay Sound coming out of Oakland, California. By 2000 Mike made a foray into the popular jam band scene. His group Prescription Renewal pulled together cross-generational talents, such as Charlie Hunter, Fred Wesley, Skerik, Robert Walter, and DJ Logic, and featured special guests such as Donald Harrison, George Porter Jr. of The Meters, Les Claypool, Larry Goldings and fellow Headhunters alumni Bill Summers. He also toured with The Roots Funk All Stars. 2015 is shaping up to be another musically exciting year. 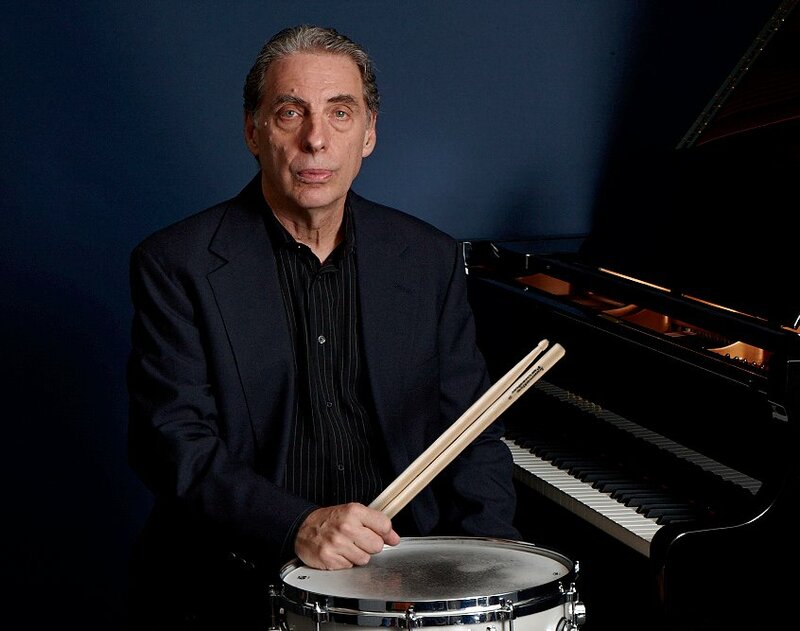 His second Wolff & Clark Expedition CD releases in February, and his hard bop band “Indigo Blue Live at the Iridium” arrives six months later, both on Random Act Records. Both CDs feature Christian McBride on bass, Donald Harrison on alto, Rob Dixon on tenor, Antonio Farao on Piano and Randy Brecker on trumpet. As a bandleader, his release “Give The Drummer Some” earned a rare four and a half stars in Downbeat. “The Funk Stops Here,” a joint effort with Hancock alumni Paul Jackson got five stars, as did 2011’s “Carnival of Soul.” In 2001, his solo CD “Actual Proof” met with critical acclaim, as did the 2003 acoustic jazz release, “Summertime,” featuring Chris Potter and Billy Childs, which spent weeks in the top ten jazz charts. 2009’s “Blueprints of Jazz” was considered one of the top jazz releases of the last ten years by Downbeat magazine. Recently Mike has been co-leading The Headhunters,’ with original founding member Bill Summers. 2012 saw a new Headhunters release, “Platinum.” which featured guest turns by Snoop Dogg, George Clinton, and Killah Priest. Mike has produced three releases for the spoken word prophet Tony Adamo, indulging ”Miles of Blu" with Tower of Power Doc Krupka, bass legend Paul Jackson, Michael Wolff. Along with drum legend Lenny White (Return to Forever), Mike is co-leading Nu Brew, a double drummer experience in new music. He also appears on Tower of Power's organist Chester Thompson's new "Mixology."